Since late 2013, the Chikungunya outbreak in the Caribbean and Haiti has been gathering momentum. By May 6, 2014, the number of cases rose from one to 15,000. As of June 2014, 27,000 cases were confirmed. Chikungunya is a viral disease that is transmitted to people by the Aedes species mosquitoes. Symptoms usually begin 2‒6 days after being bitten by an infected mosquito and the most common symptoms are fever and severe joint pains, often in the hands and feet. Chikungunya can cause the appearance of “stooped walking” not only because of the pain, but it also causes fatigue. Rheumatic effects may persist for several months and even years. There is no antiviral medicine to treat Chikungunya. Treatment is only symptomatic and based on the administration of medicine to help reduce the fever and pain. 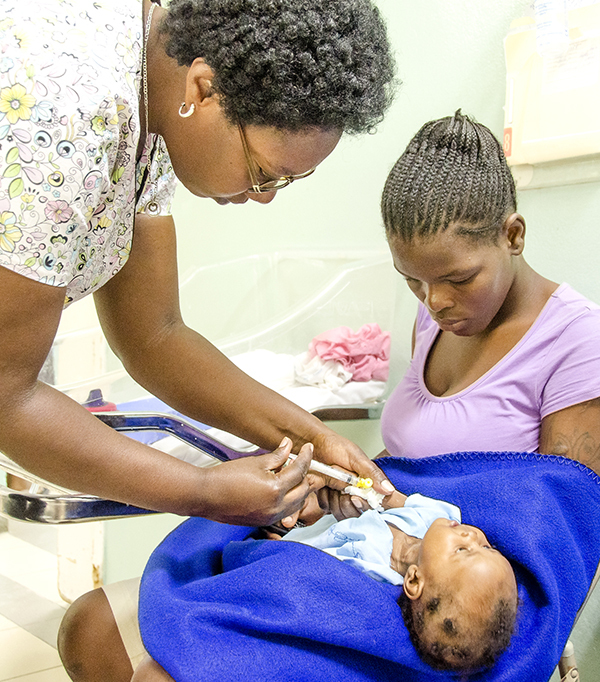 At St. Damien Pediatric Hospital, we have experienced an increase of Chikungunya cases because often people are refused at other hospitals, due to the lack of healthcare centers in Haiti. The capacity of the St. Damien emergency room does not allow us to host the increase in positive cases, therefore we are able to provide hydrotherapy and paracetamol (analgesic) before we transfer them, if they can make it to another hospital. Patients that are admitted to our ER, typically have a very high fever and body pain so severe that they do not want to be touched. 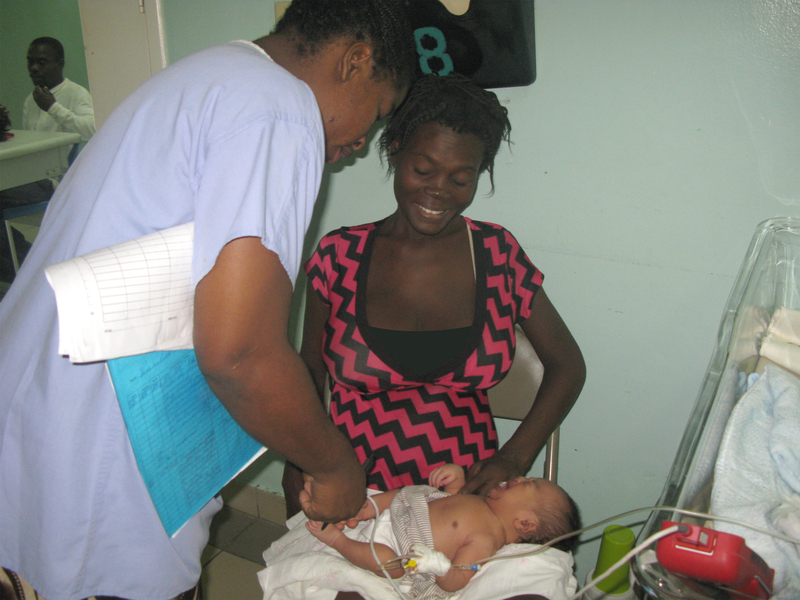 Baby Jean*, who was just five days old and born at home, was able to receive care at St. Damien. Chikunguya virus can be transmitted by mother to the newborn if the mother catches the disease perinatally, so Baby Jean could have contracted the disease from his mother, or from a mosquito. A few days after her birth, she started showing signs of a fever. Concerned that it might be Chikungunya, her mother quickly found a motorcycle to take them from Cite Soleil to St. Damien. Baby Jean’s body was pale when she arrived at St. Damien. 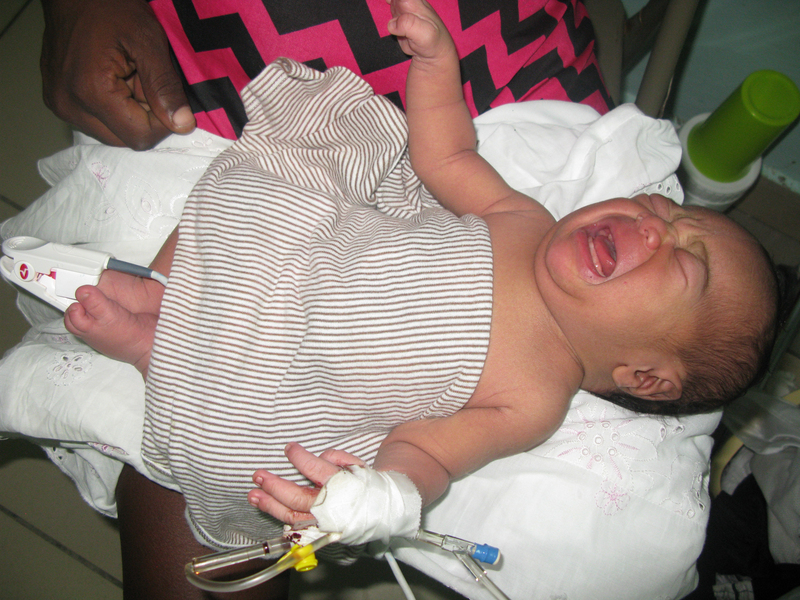 The nurses and staff quickly attended to her, starting an IV and began treatment by administering paracetamol. With the help of the ER physician and staff, Baby Jean is feeling better, although she does not like to be touched due to her body aching. She will spend another four to five days in the hospital. An average stay for in-patient care is $52 (per day) $52 x 5 =$260. If a patient is seen in our outpatient clinic, it is a one-time fee of $32. St. Damien staff also had 100 staff members who became ill with Chikunguya and many had to be temporarily replaced to provide uninterrupted care to our patients. 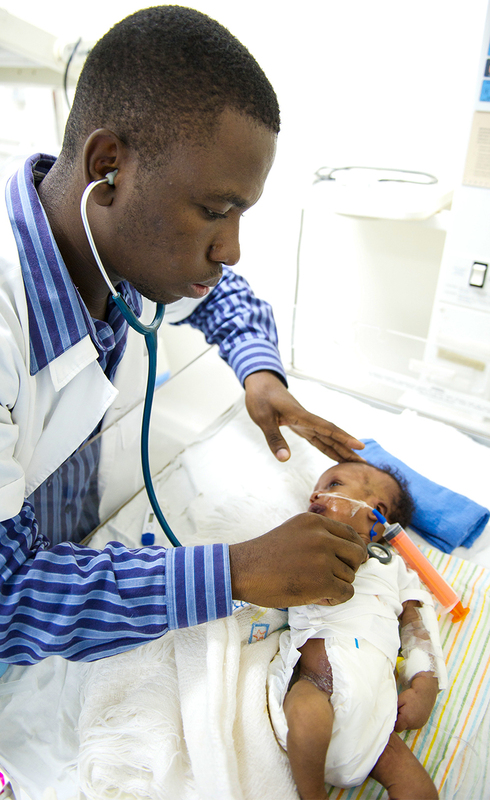 Since the last week of April, St. Damien has provided care to 112 Chikunguya outpatient cases and hospitalized 14 patients, who stay an average of five days. 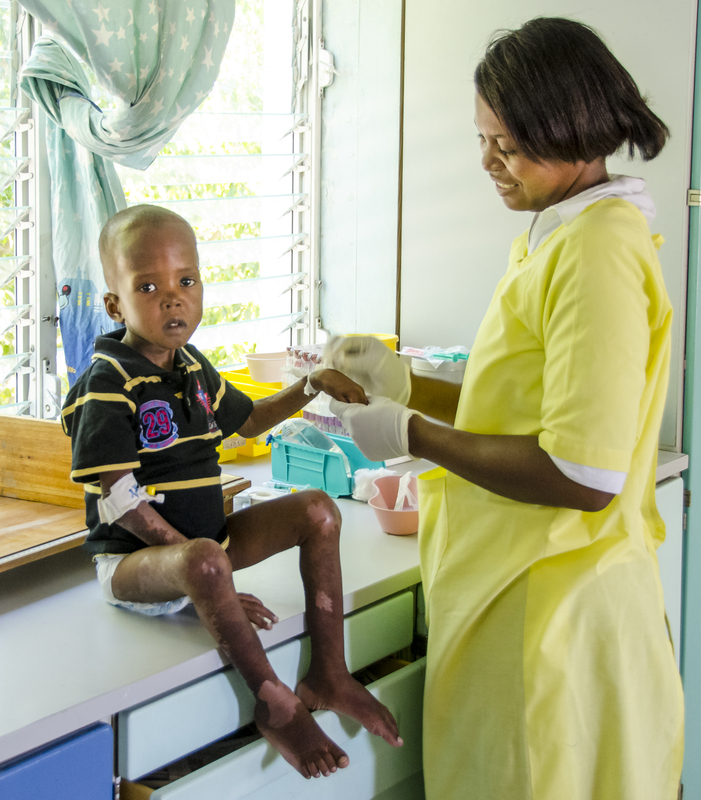 We ask for your continued support in caring for these children, to help decrease their suffering and pain.